Prime Minister Binyamin Netanyahu and a delegation of some 25 senior Chinese business people met Sunday to discuss joint initiatives. 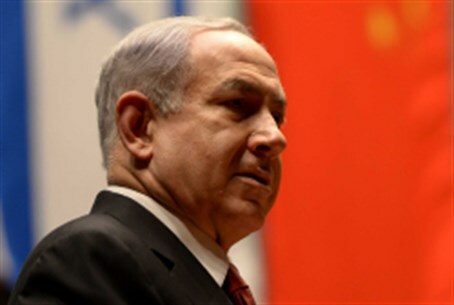 Prime Minister Binyamin Netanyahu and a delegation of some 25 senior Chinese business people met Sunday night to discuss joint initiatives between the two nations. The delegation, led by Hang Lung Properties Chairman Ronnie Chan, represented a broad range of economic and commercial sectors in China. Among the items discussed were ways to increase the Israeli business world’s exposure to China, and ways to increase cooperation between Israeli and Chinese companies. The meeting was aimed at developing joint initiatives that will contribute to both countries, the prime minister’s office said in a statement. Cooperation must be encouraged both on the government and commercial sector levels, the prime minister noted, and ways must be found to integrate Israeli companies in China’s five-year plans. Following last month’s visit to China by the prime minister and an Israeli business delegation, a series of high-ranking Chinese delegations have reciprocated. One was led by the chairman of the Xinhua news agency, and another included some 15 mayors and provincial officials. Fosun Group chairman Guo Guangchang also has visited, and at a meeting with the prime minister, declared that the Group intends to establish in Israel a venture capital fund to target investments in Israeli high-tech companies. An inter-ministerial Israeli committee chaired by NEC Chairman Professor Eugene Kandel was named last month to work with its Chinese counterpart to advance bilateral commercial ties and give joint government backing to economic links. Netanyahu, who visited China last month at the head of an Israeli business delegation, defined trade links with China as a significant growth engine for the Israeli economy in the coming years.